I think there have been enough said about iOS being a closed-system; therefore, it is controlled by Apple and less friendly. On the other hand, the Android OS is totally open-source; therefore, you can make changes as much as you like “if you know how” or “where to look for them”. 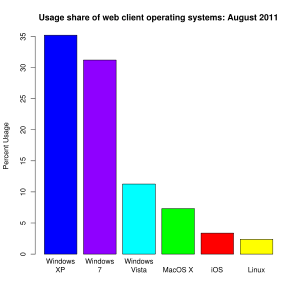 One point I want to make is that Android OS is Linux, and Linux is great if you know command lines, etc. Trust me, I had used many versions of Linux, even was crazy enough to buy the Corel Linux way back when, but each time was the same disappointment: I was spoiled with Windows and unable to learn processes that were beyond point-click-hourglass-wait-fingercrossed-installed. I remember I had to issue “Mount” in Linux so that my CD-ROM became functional. So my point, Linux does offer great flexibly, because you can truly script and tailor to your needs as you want! But I am lazy, and too senile to do that, but I did try. Here is my point regarding iOS, despite it is a close-system, Apple’s own applications are well thought out; therefore, no need to tweet. Case in point is the iTunes U that I talked about in my earlier blog: Attending iTunesU in bed with pj, other than the choices of lectures, I just discovered another great feature it has: taking notes when you watch the video lecture. To access the notebook, click on the notebook icon top right (Fig. 1) ,which opens up the notepad while the video is still running, i.e., you can truly experience it as if you were in a lecture. 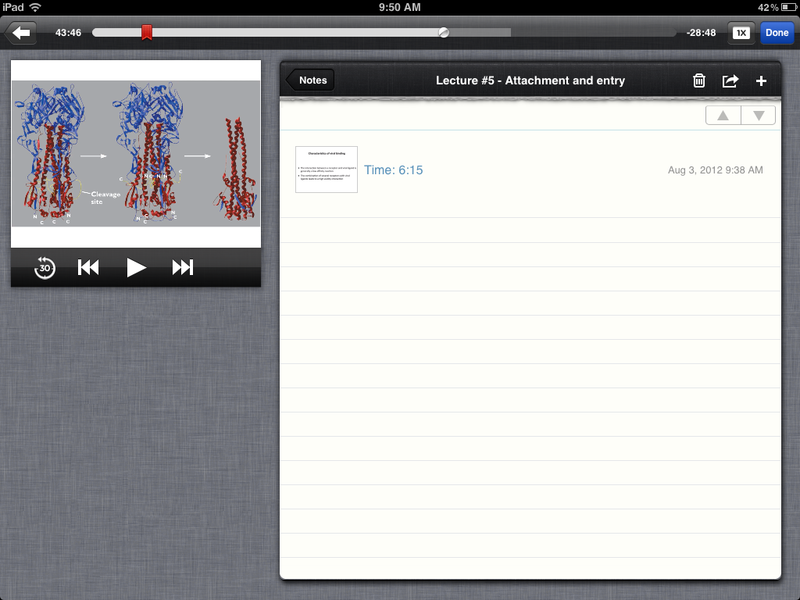 You can record your notes and access it as you need in course binder! If this is not genius for students, I do not know what is! The only missing thing is to get a bluetooth keyboard and you are all set. If your college is on the same wavelength and delivers its courses this way, all you need is an iPad with keyboard for the entire semester! No more bulky knapsack with textbooks and laptop. Do other tablet OSes do that other than improving games and watching TV shows, movies, youtube… and connecting to social media. I think I am right on this one. Inserted graphics are from Virology W3310 offered by Columbia University conducted by Dr. Vincent Racaniello.